Come paddle out in protest of the Williams pipeline! This pipeline threatens the health of our waters and marine life off the coast of Rockaway as well as our local economy that relies on a clean ocean and beach. All are welcome! No worries if you don’t want to paddle out, still come out for the cleanup and show your support from the beach! If you need to borrow a board, contact chair@nyc.surfrider.org and we may be able to arrange. Come hang at Patagonia Bowery! With the welcome changing of the seasons, the Patagonia crew will be going through their wetsuit line and options as well as a rundown on their boards! Rockaway Brewing Co. will kindly be providing the beers! Swing by, say hi and meet your surf and water loving community! A Green New Deal for New York is essential for Surfrider’s mission! 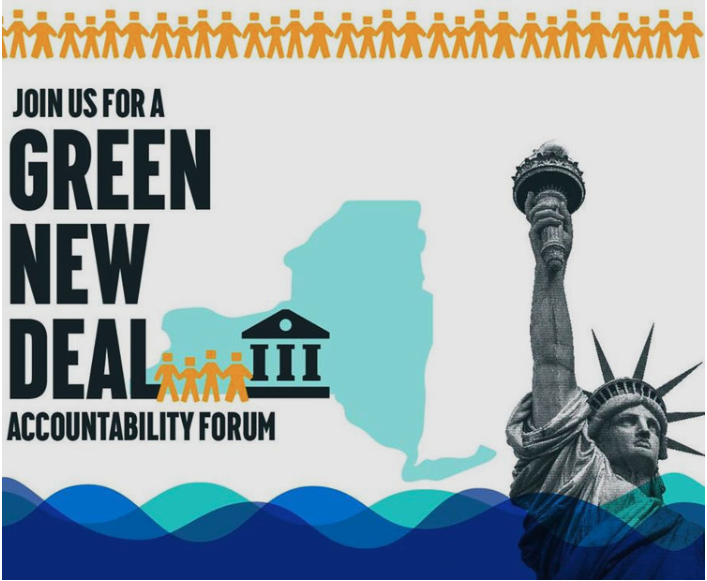 Join us at a town hall style forum to question Governor Cuomo, leaders of the state legislature, Attorney General James and Comptroller DiNapoli, and City-wide elected leaders such as Mayor de Blasio, Comptroller Stringer and Speaker Johnson about the accelerating climate crisis. Our state and local elected officials must act now. This is your chance to hear our elected officials plan to confront the climate crisis. Topics will include stopping fossil fuel projects, transitioning to 100% renewable energy, divesting public funds and building out transit. Together, let’s hold them accountable to achieve the bold, equitable and transformational action our communities need! Doors open at 6:30 pm. Get there early to get a front row seat! Please also RSVP at The Action Network to receive regular updates. Co-organized by a growing list of organizations including 350.org, 350 Brooklyn, 350NYC, Divest Invest, DSA – Climate Justice, Food & Water Watch, Green Education and Legal Fund, New York Communities for Change (NYCC), New York Public Interest Research Group (NYPIRG), the People’s Climate Movement – NY, Riders Alliance, Sane Energy Project, Sunrise NYC, WeACT for Environmental Justice, and the Working Families Party. Please note this is a partner event and is ticketed. All proceeds will benefit Surfrider Foundation NYC. Visit our partners page to purchase your ticket for a $30 donation. Learn how you can help turn the tide on the destruction of ocean and sea life. From acidification, seismic testing and the planned Williams pipeline of fracked gas off of Rockaway Beach — your voice is needed now. 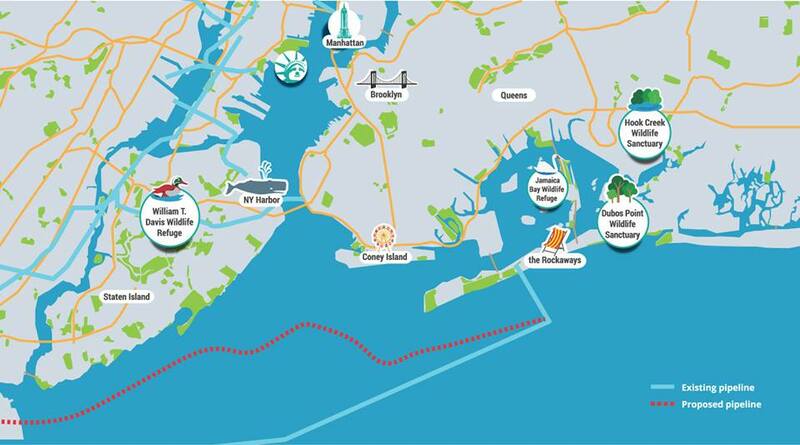 Surfrider currently opposes the Williams NESE pipeline proposed for NY Harbor and fighting to protect our coastline from the threat of offshore drilling and seismic testing. 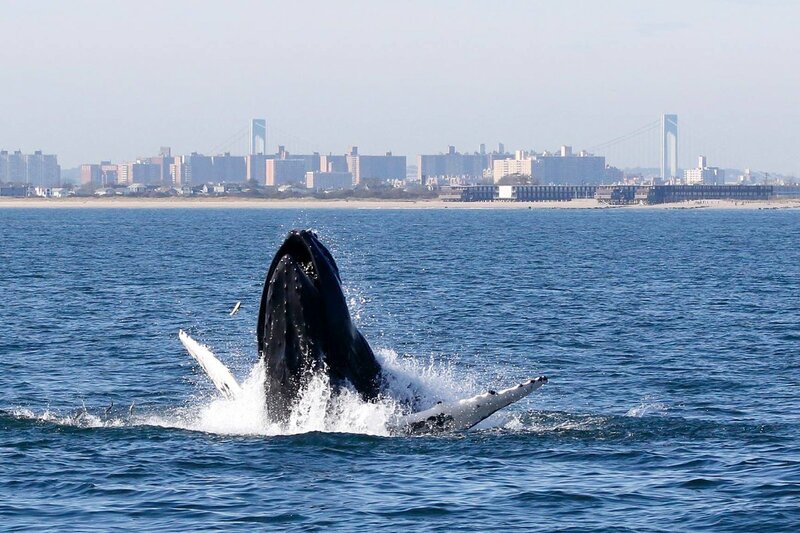 All donations received will allow them to elevate their campaigns to ensure the health of our waters and help guide the way towards a greener future for New York City. Join us for a fun evening! We’ll be discussing updates on our campaigns and programs, including Stop the Williams Pipeline, Drilling Is Killing, Blue Water Task Force and Rise Above Plastics. 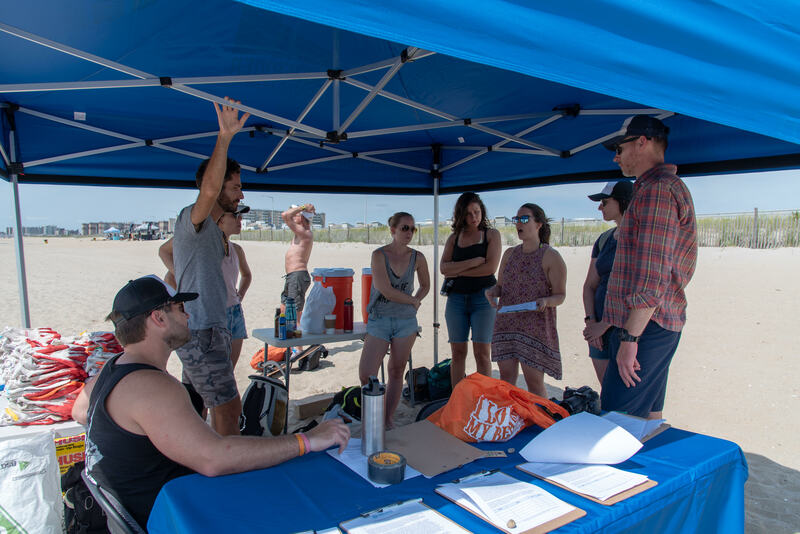 Come out and see how you can get involved in your Surfrider NYC community. Beer kindly provided by Founders Brewing. Guest speaker to be confirmed. Special thanks to our hosts at Bombora. It’s now in the hands of New York State to block the Williams pipeline by denying the requisite permits. 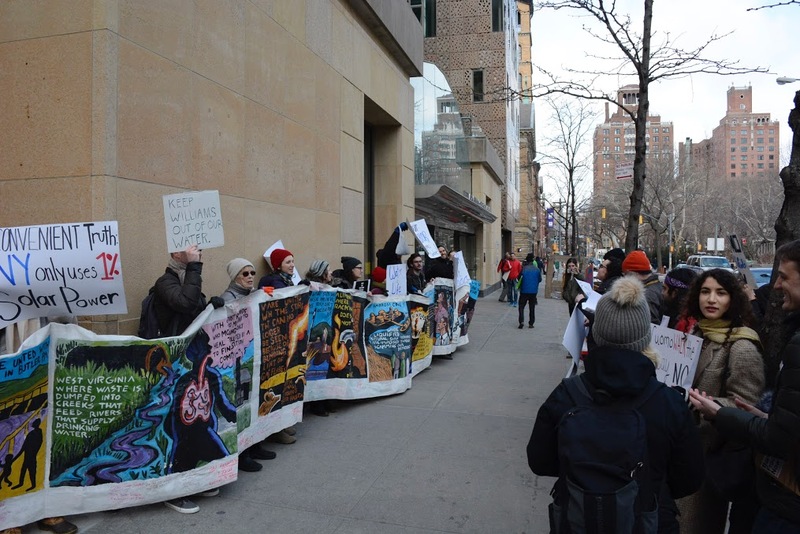 The good news is the New York State Department of Environmental Conservation (DEC) has decided to hold public hearings on the pipeline. The DEC did not have to do this and the fact they did means we have their attention. It’s critical we show up in force and prove this pipeline is unnecessary, dangerous and won’t be happening on our watch. The great thing about hearings is you can arrive at your convenience (even after the start times). We’ll be providing more information on transport, logistics and preparation shortly so please keep an eye on our Meetup Page , social media and email blasts for details. We’ll have opportunities to testify, but it’s also as important that we have a large, visible presence. So please join us if you don’t want to testify but want to support the movement. Spread the word far and wide! Click here to learn more about why you should oppose the pipeline. Also stay tuned as we’ll be providing more comments and talking points to help prepare you for the hearings and upcoming pipeline events. Please contact campaign lead, Noelle Picone at campaign.rep@nyc.surfrider.org for further information of questions. 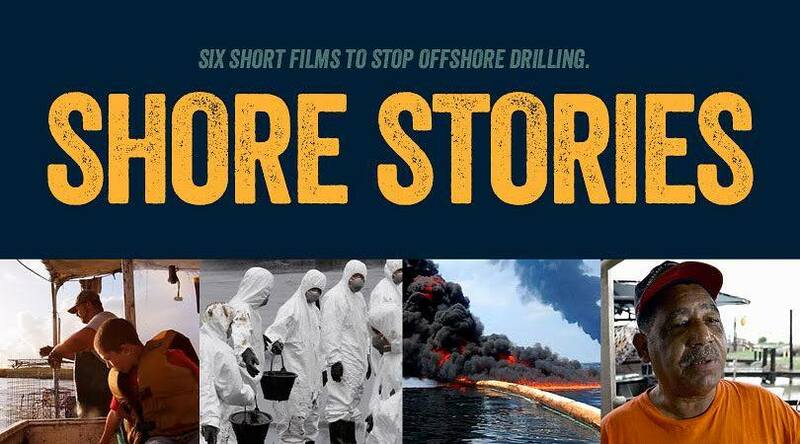 Join us for Shore Stories, six short films that highlight the grassroots resistance taking place across the U.S., as well as stories from past blunders in offshore drilling, including the BP Deepwater Horizon disaster. Let’s stand together to protect our coast and say “NO” to offshore drilling! The event is a collaboration of Oceana x Surfrider NYC. Come out for some holiday cheer before the season of ice cream headaches is fully upon us. We’ll be hanging with Patagonia crew, recapping our campaigns and programs from this past year and planning what direction we’re heading in 2019. Refreshments from our friends at Rockaway Brewing Co will be served. Plus, don’t forget to bring any Patagonia gear you need to be repaired. 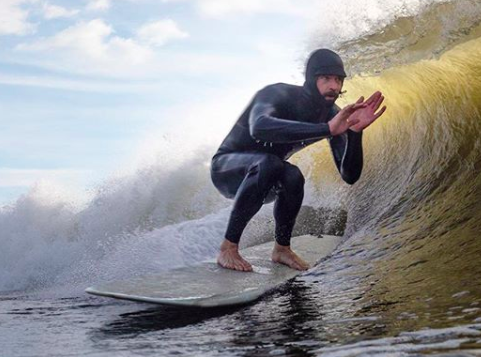 Also, Ross wants to hear your best winter surf story. Find me and spin a yarn. Join us for a late Fall beach cleanup with our new partner Costa Sunglasses. Have you been to the beach in late Fall? The air is crisp, the beaches are empty and it’s a great time to get some sunshine (beat that pesky Seasonal Affect Disorder) and go for a productive walk. We’ll be meeting at Beach 67th Street in Rockaway at noon. The day will begin with a quick kickoff at our blue tent with some instructions and any recent news we may have to share. From there, we’ll let you loose to purge the beach of trash like plastic, cigarette butts, lost fishing gear and whatever other treasures you find! Definitely check the weather and dress more warmly than you may anticipate, as it’s always a few degrees cooler at the beach. But once we get moving, you can shed some layers and hopefully the sun is out. The cleanup is in honor of Costa’s 35th Anniversary and they are hosting 35 beach cleanups around the country. From the city or boroughs, you can take the A train to Beach 67th Street. Yew! See you other there. 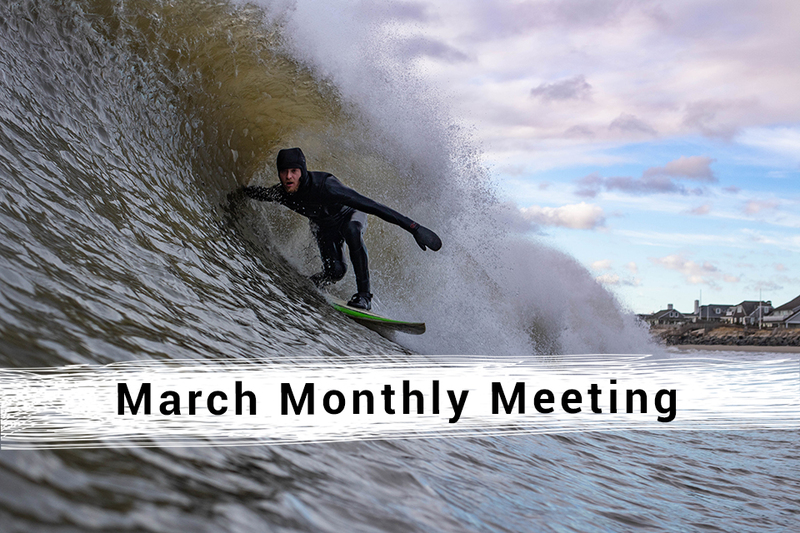 Join us for our monthly meeting and talk about our latest campaigns. We’ll be joined by guest speaker, Paul Sieswerda of Gotham Whale. Paul has been an integral part of monitoring marine life in the New York Bay and has great knowledge about the return of seals, dolphins, and whales to the area. Paul will be speaking about their Omega Commercial Fishing campaign and Spot A Whale initiative. Plus he has a lot of beautiful photos too (Gotham Whale’s Instagram). Beer donated by Nica Craft Brew. Wayne Lynch will be there in person! If you don’t know who he is, you’re in for a treat. Wayne is an icon of 60’s and 70’s surfing and helped lead the shortboard evolution — and he’s got the stories to back it up. He’ll speak on behalf of the film and its initiatives. 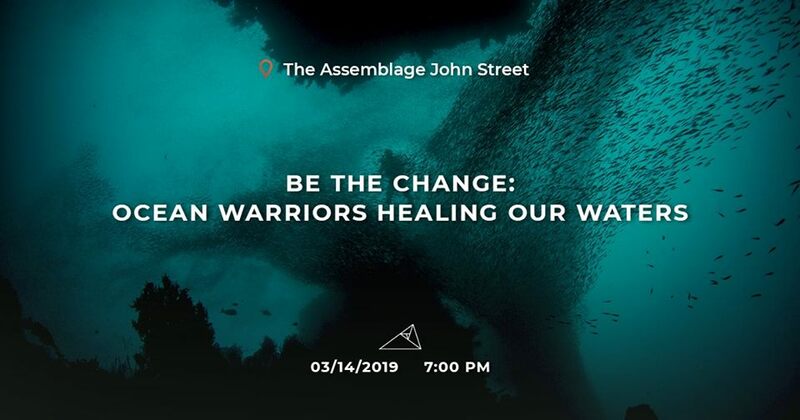 Join us for a fun evening, thanks to Patagonia Bowery, which will include info about Surfrider NYC’s latest initiatives and a raffle for swag. This event is free but it is first come, first serve so get there early to make sure you get a seat! Location: Beach 68th st., then Rockaway Brewing Co.
‘Tis the most wonderful time of the year – waves and warm water. To kick it off, we’ll be hosting a beach cleanup, but not just any cleanup. This is an International event which began over 30 years ago and has now grown to include over 100 countries. 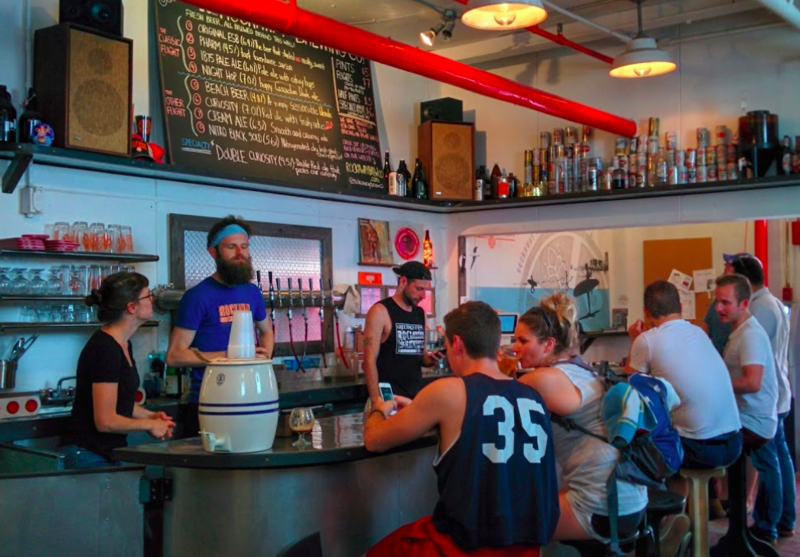 Of course, we’ll be celebrating our efforts with an afterparty at Rockaway Brewing Co. So make sure to swing by and hoist a few Kolschtal Defenders with your fellow ocean-lovers. Come on out for a late summer beach cleanup with our friends from the Package Free Shop in Brooklyn. They’ve organized a fun day for their supporters, and we plan to tag team the efforts. We’ll begin our trash forage at Beach 68th street at 12pm. Bags and gloves will be provided. Once we finish, there’ll be an opportunity to go for a surf or hangout, while we sort recyclables, weigh our haul and breakdown our station. At 4pm, we’ll load up on a bus and head to Riis Park for our Monthly Chapter Meeting and to turn up the party with rum cocktails from The Naked Turtle. Festivities will wrap up around 7pm. Beach 68th Street can be accessed by A Train or by car. Rockaway Brewing Co. is hosting a party and you’re invited. Woo! 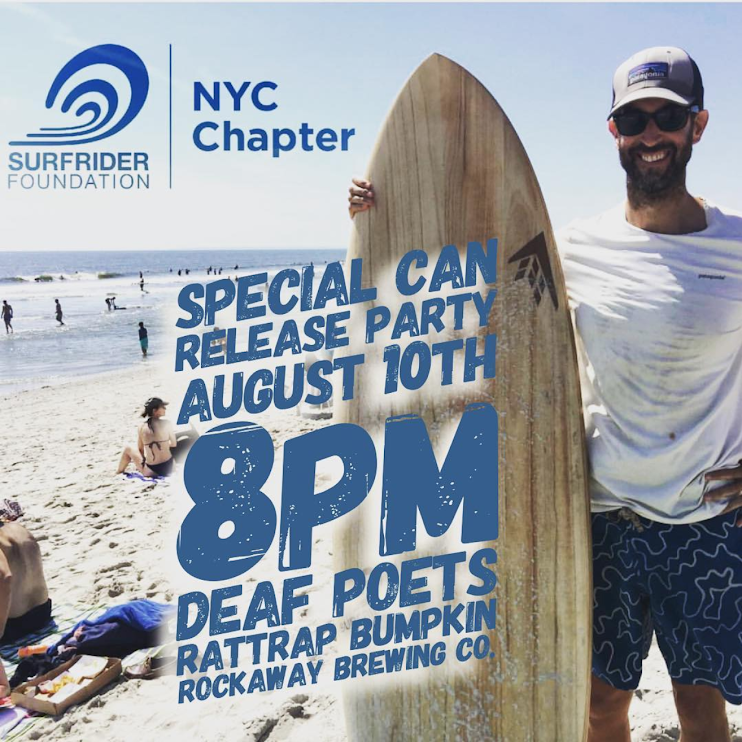 We’ll be gathering to celebrate the winning name and release of their latest brew, a Kolsch, honoring Surfrider NYC. How’d it all go down? 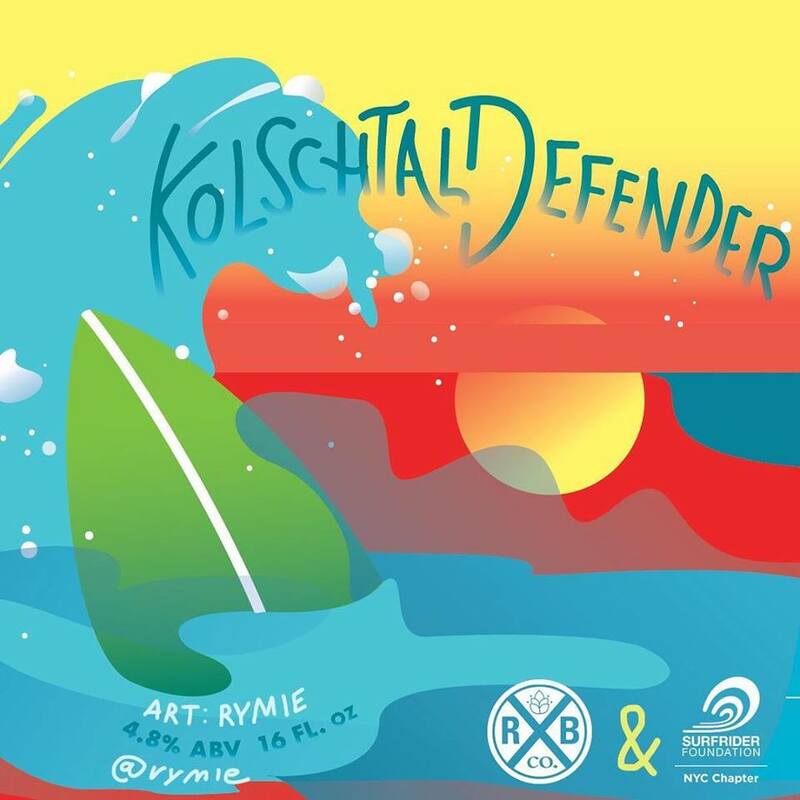 After tapping into collective creative efforts, @pgdukes, dropped the winning submission, Kolschtal Defender. Bravo! Sounds like a fun way to kick off the weekend. Join us for a discussion with Becky Mendoza, Leah Dawson and Anna Santoro of Changing Tides Foundation about ways to reduce single-use plastics in your life. Panel will also include Nikita Scott (Surfrider NYC) and George Povell (All Our Energy). After the discussion we’ll watch SameSeas, a short film about women and sustainability in the developing world. Cold beer from Rockaway Brewing Company, anyone? It’s all free! Calling all activists! We’ll be going door-to-door at Ocean Bay Projects in Far Rockaway on July 14th to inform the residents about the Williams pipeline and ask for their support in this fight. Since these buildings are right on the shore, the residents will be impacted most by this project, yet they may not even be aware of it. That is where we come in. Timing: 11AM meet time. We’ll do some pre-training (no need to have any canvassing experience), then everyone will receive assigned units. We’ll wrap up at about 2pm. Please mark your calendars and invite a friend or a neighbor to join us! The more volunteers that come out, the more residents we can reach. This is a great opportunity to do some grassroots activism to help fight against the Williams pipeline! 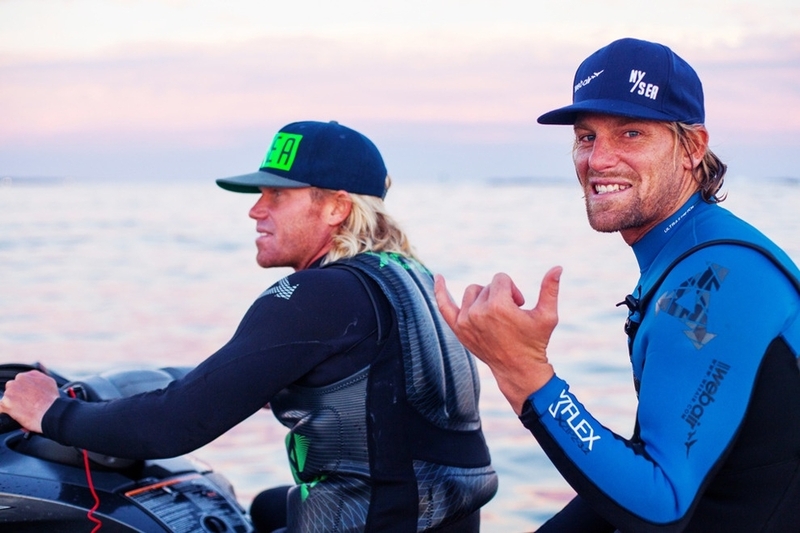 Come out to our June chapter meeting, kindly hosted by Saturdays NYC – in their beautiful outdoor space with guest speaker and WCT Big Wave Surfer, Will Skudin and Jen Hanono! We’ll be sharing our plans for Summer 2018 and providing updates on our critical campaigns: 1) Williams Pipeline and 2) Offshore Drilling. We’ll also discuss the progress of our ongoing programs like Ocean Friendly Gardens and the Rockaway Surfing for the Environment Youth program. Find out how you can get involved! Special thanks to Nicaragua Craft Beer Co. for kindly providing beverages! For 364 days of the year we all work to protect our coasts. On one day, International Surfing Day, we take a moment to celebrate the impact we’ve made, the campaigns we’ve won and the beaches we’ve protected. 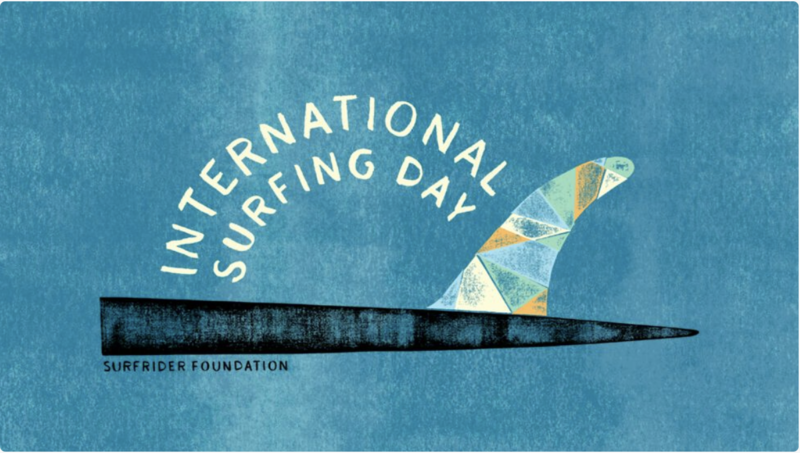 This International Surfing Day spread the joy, excitement and pure stoke that the beach and surfing give by helping us reach our goal to bring 1 million people to the beach worldwide on June 16th. We’ll be set up at Beach 90th Street with a bunch of softtop surfboards available for use (free!). 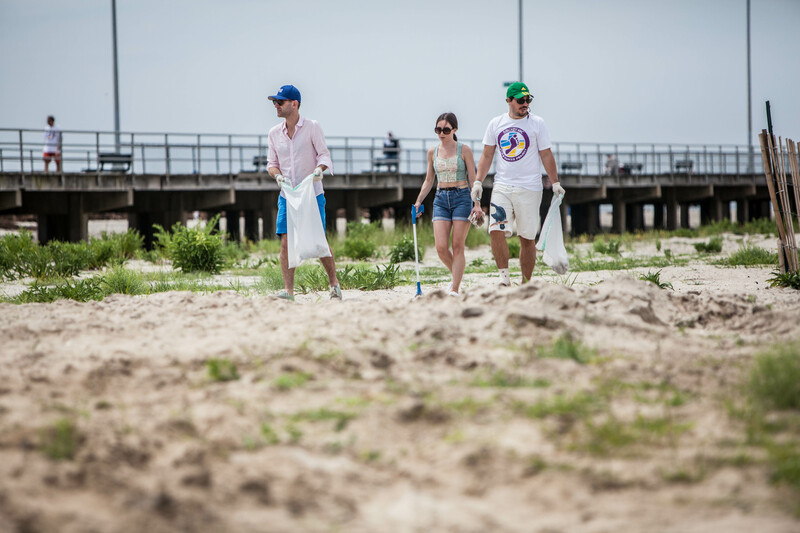 We’re asking all attendees to help show the beach some TLC by doing a beach cleanup during the day – bags and gloves will be available all day. Our bags are reused from Rockaway Brewing Company – they are the grain bags for our beach cleanups! At 4 p.m. we’ll move the party over to Low Tide Bar, right on the boardwalk at Beach 97th Street. 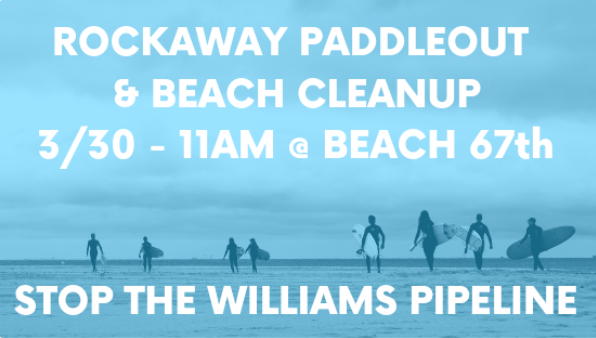 Everyone who participates in cleaning our beach will receive a drink ticket for a free beverage from our Partner Rockaway Brewing Company. Our friends from Patagonia Bowery will be joining us, and we’ll have ocean-friendly sunscreen from Raw Elements available for you to try. Note that we are aware of the Rockaway beach closures and have planned accordingly. 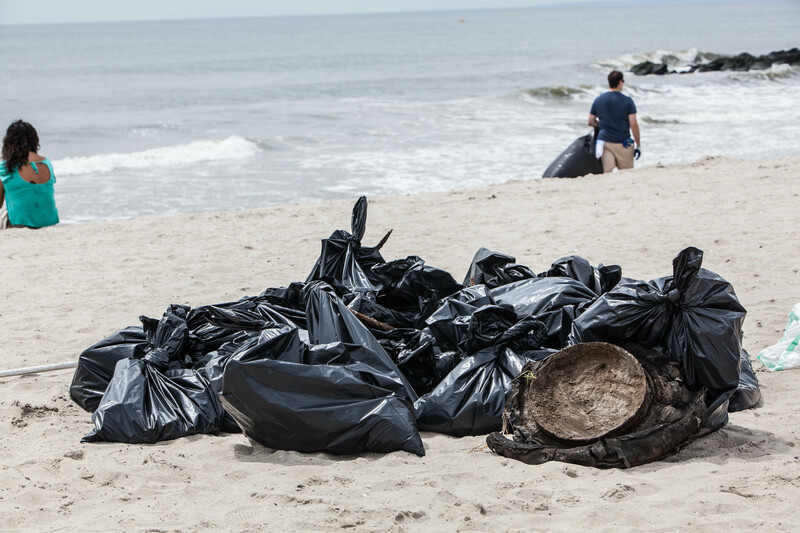 As the weather warms, New Yorkers flock to the beaches, leaving behind lots of trash. Additionally, plastics bags, garbage, and microplastic wash in from the ocean. Let’s work together to make sure that trash doesn’t make it back into our waterways, into marine ecosystems, and into our food! After the cleanup, we’ll weigh the trash to help measure the impact of your efforts. We will provide gloves and bags. Please wear sunscreen, sand-friendly shoes, and clothing that can get dirty. Reusable water bottles are *highly* recommended. Bathrooms will be available nearby. Getting here is super simple using the MTA. You can take the A train straight to Beach 67th Street, hop off and walk toward the ocean. You’ll see our tent set up and we’ll kick everyone off with directions and information. If you’re driving, there’s limited street parking. Please join us for Hands Across the Sand 2018! 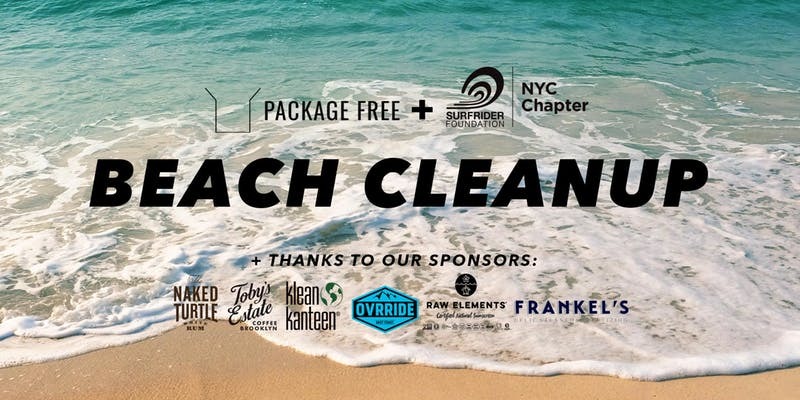 Hosted by Surfrider Foundation NYC, Greenpeace NYC, Oceana, Clean Ocean Action and Locals Surf School. 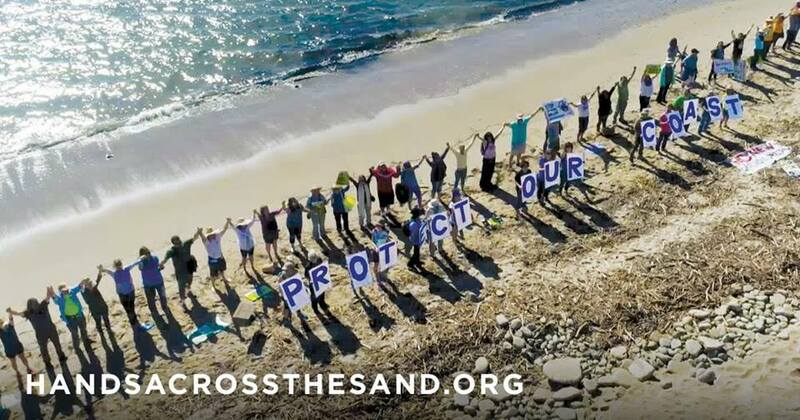 We will be joining hands on land and sea to symbolize our opposition to the fossil fuel infrastructure and exploration that is threatening our coastline – the Williams NESE pipeline and new offshore drilling. 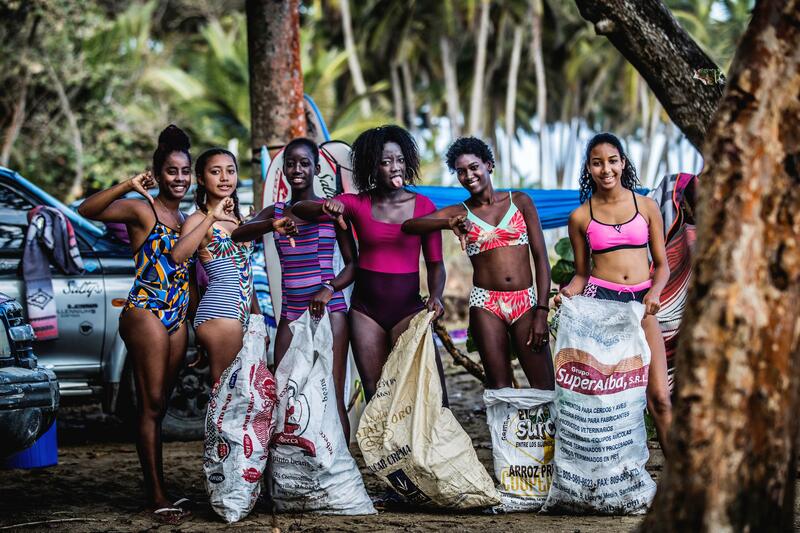 12:15pm – Beach clean up – show your beach some love! 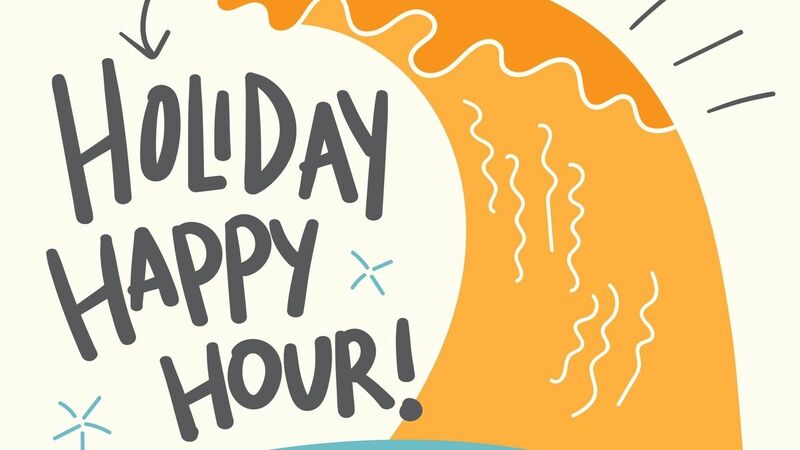 1:30pm – Post event hang out at Rockaway Brewing Company. We will be providing FREE transportation to the event! 9AM pickup from Patagonia Bowery, and 9:30AM pickup from Union Pool, Williamsburg BK. Transportation back to Brooklyn and Manhattan will be at 5:30 from Rockaway Brewing. Use the link below to reserve your spot on the bus! Please send any questions to offshore.rep@nyc.surfrider.org.